What was once sought, is now freed into expression of purpose. Truths that were once hidden unwrap themselves in the schematics of the new time dialogue. Energies that went un-harnessed now entrain themselves. Duality of purpose seeks a partner as Earth dances around with her upcoming choices. We are at a Point of No Return as one that passes through the pastures of life seeking safe haven from a world of turmoil. We all sit at a place of less resistance as the time doors open to experience themselves in a new longitude and latitude of placement. Thy will be done, seems to be the title of upcoming events, personal and planetary. As we sit looking out our window of time, with our microscopic view at maximum clarity, we begin to truly understand, that it is not fate versus free will, it is fate and free will. Time passages announce opportunities that have been dormant, waiting for the Skelton key to unlock them. This mass of energy cannot be bridled or harnessed, but only ridden in a free form. Hold on tight to all you once dreamt was possible. You are asked to embrace the solitude of your thoughts and allow them to be birthed into a place of possibility. Just like a baby, timing is always in universal control. All the fires of transmutations one has endured for far to long, has burnt away the drowse of limitations. Dancing in the arms of one’s own dreams allows one to unfold into perfect proportion. 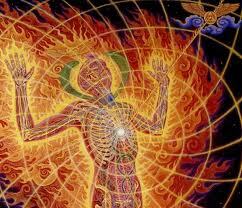 The Universe has placed within you an imprint, that asks to be seen thru the lens of your heart. Earth and all her inhabitants are at a point that demands that every thought be clear and concise. No more random ravings and musings by people that wallow in fear; No more grace for the mistakes by those in power as they look for ways to polish their souls silver. Every individual upon Earth has the opportunity to ask for divine assistance, for divine intervention. Many allow themselves to be washed about in a cesspool, as they try to cling to the slippery sides of their life. Each thought that humanity has is more powerful and important than the thought before. In each thought the wisdom has increased exponentially from the limited perception of moments before. Move your heart and your energies up to a safe place. Those that wear a higher light, will be asked to go beyond what they deem suitable for their experiences. You will be given instructions from the Universe within the pitter patter of your heartbeat that asks you to surpass anything you thought you could possibly accomplish. You will be asked to become the legions of God, that have no fear and the legions of heart that hold humanity within the very palms of their hands.